On her latest Forgotten Classics podcast my friend Julie Davis has an excerpt from a 1962 novel by Mary Stewart called The Moon-spinners. Wikipedia says Stewart is one of the founders of the “romantic suspense subgenre” which blends romance with mystery. She also wrote a bunch of King Arthur/Merlin novels. Chivers Audio (now called BBC Audiobooks) recorded a bunch of unabridged Mary Stewart novels back in the 1980s and 1990s, they’re rather hard to find now and quite collectible. Going back to the podcast – I always dig Julie’s picks as they’re typically something I’ve never read and at the same time well worth reading. The one drawback, her podcasts tend to make me hungry. Have a listen |MP3|. Here’s a story meme with nearly as many adaptations as The Hound Of The Baskervilles. Unlike Hound, which is generally met with very successful adaptations, this one is a series of failures punctuated by only the occasional success. Practically every Fox network cartoon has done a TV version of it. Even 30 Rock‘s Jack Donaghy [pictured left] had his own twisted version. Of the serious successes there is of course the popular (and public domain) 1932 film version (which uses the original title), and the excellent Science Fiction film version: Predator. Still not sure what I’m referencing? “You are alone and unarmed in the green hell of a Caribbean jungle. You’re being trailed by a pack of fiercely hungry dogs — and a mad hunter armed for the kill. A mad hunter who believes that you, a human being, are the most dangerous game. First published in the January 19, 1924 issue of Collier’s Weekly – there have been no fewer than 13 film versions and at least than many more that just plain ripped off the idea completely uncredited. You can check all those out elsewhere. Strangely there is no straight audiobook version, but you can check out some of the audio adaptations here! With Joseph Cotten portraying Rainsford. A big game hunt for the biggest game of all…man! Hans Conried, Irving Ravetch (adaptor), Paul Frees, Richard Connell (writer), William N. Robson (producer), Richard Sanville (director), Cy Feuer (music conceiver, conductor). From TheatreOfTheMind.com, a one actress recreation of the original Suspense script! |MP3| Yikes! I didn’t expect to be reviewing this audiobook. Prior to its arrival in the SFFaudio mailbox I didn’t even know this audiobook existed. It is neither Science Fiction, nor Fantasy. Its Horror is of the very detached and remote kind because of the way it is told. I scoured the packaging looking for a sign as to why we were sent this audiobook. The only thing that stood out was that it was directed by Emily Janice Card (that’s Orson Scott Card‘s audiobook producing daughter). That’s a very tenuous connection to what is normally our kind of audiobook. But, after listening to the book in its entirety I found I had some things to say about it. And… we do have this handy “Aural Noir” tag that I use to talk about the Mystery, Thriller, and Noir audiobooks that I so love. Why not review it under its aegis? 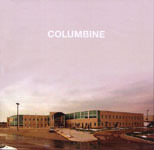 Journalist Dave Cullen has assembled what must be, for the foreseeable future, the definitive book about the 1999 Columbine High School massacre. Myself, I was only vaguely familiar with the incident at the time. In 2002 I watched Michael Moore’s disturbing film Bowling For Columbine. It was a kind of editorial-documentary on the event itself, the connections with other shootings and firearms in general. Since then, the Columbine High School massacre had been completely off my radar. Dave Cullen’s non-fiction book Columbine supports my conviction that if you really want to know what exactly happened, you’ll have to wait for the facts to be ferreted out by a historian. Cullen is just such a historian. The history Cullen paints is rich in factual details. His sources are: the writings and videos of Eric Harris and Dylan Klebold themselves, county records, friends of the murderers, their fellow students, eyewitness interviews, police records, victims, victim’s families and probably most crucially a senior FBI agent. That agent, Dwayne Fuselier, had a son attending Columbine High School on the day – so his arrival on the scene was both personal and professional – his later investigations reveal insights into the vast reams of documents and video produced by the killers themselves. With Fuselier’s assistance Cullen debunks virtually all of the many myths and falsehoods that swirled around the media’s coverage of the massacre. Other than the two murderers, and the gun suppliers, the only other major villain in Cullen’s account of the massacre and its aftermath is the Jefferson County Sheriff’s Office. “Jeffco” was in charge of the investigation. It was also responsible for a lot of the incompetence that lead to it being necessary. In the aftermath Jeffco had a limelight loving sheriff who was concocting conspiracy theories that he had no investigative evidence for. But that bunk seems to have supressed some very interesting facts. For instance. Were you told the police had, prior to the attack, documented murder threats by Harris/Klebold prior to the attack? Did you know that the police had even made out a search warrant based on these threats? Did you know that, if the warrant had been taken to a judge, it would have allowed the police to discover the weapons cache the teens were preparing? Did you know that Eric Harris and Dylan Klebold been arrested together, for another crime, prior to the attack? Other myths Cullen debunks are those generated by the media and church groups. Had you heard about the girl who said ‘yes’ when asked if she ‘believed in God’? Ya, I had too. Did you know that she actually didn’t say it? That another teen had, and that she wasn’t shot? That instead this survivor, the one who had actually proclaimed her belief, was branded a liar by the evangelical community? I hadn’t known that. With Columbine Cullen, has assembled a first rate piece of non-fiction history. It illustrates exactly why a public reaction to the daily news so often leads to dangerously false beliefs. If there was just one takeaway from this audiobook let it be that American society needs to be more focused on the problem of detecting psychopathy. Not all psychopaths are murderous, in fact most are law abiding. What unites them all is that other people don’t matter to them, except as a means to their ends. Blackstone has issued the same stark cover for the audiobook as is on the paperbook. Chapters jump back and forth in time, showing the consequences of and the preparations for the murderous assault. This is a wise structural move as the day’s events themselves are not the primary focus of this book. In fact a good deal of the narrative follows others who were there that day: Frank DeAngelo, the Columbine High School principal, some of surviving victims and their families or the workings of the media itself. Don Leslie, the narrator, is given the grim task of reading the words of Klebold and Harris. It isn’t an enviable job, but he is up to the task. There is a disclaimer at the beginning of the audiobook that explains that all the words in quotes are sourced from interviews, transcripts and articles. This is naturally less clear in the audiobook version than the paperbook edition but Leslie does his best to make each quote as clear as he can. Here’s a podcast that I’ve been listening to, on and off (mostly off), for years. Miette is a mystery to me and seemingly pretty much everyone else. She’s been putting out a weekly (or so) podcast since 2005 and yet we don’t know a lot about her. We know she loves to read short stories. That she’s got an accent people don’t easily pin down, and that she’s got a dog. Other than that…. well, we really don’t know. Now I like the obscure, but she, well… she’s just out there – Miette has gone past the obscure and into the hinterlands of the truly odd. Every once in a while I want to throw her a lasso (or a lifeline) but I’m kind of afraid because she might pull me out there with her! That sheer out-there-ness also makes me feel so normal. Miette’s the absolute omega to the omnivorous celebrity mainstream and me I’m just the guy who gets to say “sorry I don’t have TV” three or four times a week. Perhaps Miette is from a parallel universe? Assembled below are some of the Miette-read tales that attracted me to her podcast. None of them are youur typical short story – most are experimental in some way, usually they’re at least odd, strange, or weird. The thing is though, these tales that I’ve picked here are the most centric of Miette’s stories! A story about a woman who dies too much. One mystery classic and one SF Alternate History classic. That’s like two classics, huh? You’ll hear the soft, lazy voice of a dame who’s been around, and you’ll meet up with a beautiful heller. You’ll learn the lurid secrets of a man’s locked past, and you’ll prowl dark alleys with two men–two men turned hunters. And you’ll wonder–why Ed and his Uncle Am didn’t level with the cops; what business a gang would have with Ed’s dead father; and where the killer thought the hunters would go wrong. Here are your answers, in this fast-spinning, two-fisted mystery about thugs, molls, and carnival folks. When Brion Bayard was kidnapped and brought to the alternate world where Earth’s history took a different turn, it was not a pleasant experience. It was, however, a startling experience. Here was a world that was just like the Earth he was taken from–with just a few subtle changes. On top of all this, Brion was given a puzzling assignment by his captors. He was to secretly enter a palace, and kill a dangerous and tyrannical dictator. There was one, small catch–the hated dictator in this world was the mirror image of Brion Bayard. For on an Alternate Earth, Brion’s is his own worst enemy! That’s Clay, the strong right arm of Ed Ganolese, talking above. Ed’s a NYC syndicate boss. The mob may have old roots but the syndicate, the crop of gangsters in this novel, only goes as far back as WWII. See during the show in Italy a bunch of D-Day Dodging G.I.s found themselves allied with some old-world black marketeers. And now, twenty or so years later, in the 1960s those bonds lead Clay down strange alleys. He’s forced to turn amateur detectivewhich is something new for a mob enforcer. But his boss Ed, but you call him Mr. Ganolese, is under the squeeze from the “parent company” in Italy. And when Ed asks, Clay does. So, Clay takes the case. He needs to solve the frame-up murder put over on a low level pusher named Billy Billy. Billy Billy is innocent – everyone knows he wouldn’t harm a fly – but the cops like him for the murder. And it looks bad for Billy Billy because he woke-up from his heroin induced stupor in the middle of the murder scene. Everyone knows he’s innocent, Ed knows, Clay knows but the cops, well they just don’t care. Since Billy is someone’s patsy and just a hair’s-breadth ahead of the law that means Clay has really got his work cut-out for him. I had previously read the paperbook of this novel, but not with the Hard Case Crime title of The Cutie. When I read it originally the novel was called The Mercenaries. The strange thing is that the title seems to have influenced my opinion as to the character of the book, maybe its a combination of things. The title and the way it was read. When I first read the novel about five or six years ago I would have classified it as a rather dark, but with this new title, new cover art (by Ken Laager), and the brightly lit voice acting by Stephen R. Thorne it comes off as surprisingly light. Almost a caper in fact. Part of of it must also be because The Cutie is told in first-person from Clay’s point of view. Narrator Thorne brings a youthful confidence to the part (something my inner voice apparently didn’t). But, it’s still strange how Clay is really a cold blooded and murderous thug – Westlake gives him an excellent backstory. But then again perhaps I’m still hearing Thorne’s reading of Somebody Owes Me Money |READ OUR REVIEW|. The Cutie is fully utterly engaging, I found myself trying to solve the central mystery again, all the while marveling at Westlake’s masterful storytelling. The Cutie is a gritty, fast paced, and well plotted murder mystery with a highly unusual criminal/detective lead. If you haven’t tried a Westlake novel before this, now and with The Cutie is your perfect place to start – this was Donald Westlake’s first novel under his real name.